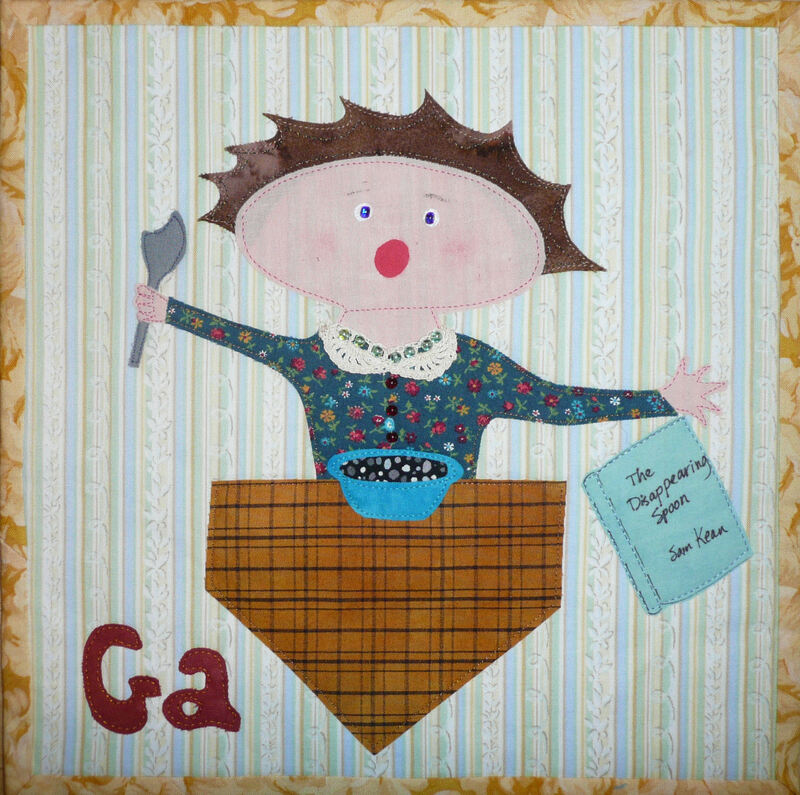 Gallium, as represented in this original cartoon drawing, is based on one of the tales told in Sam Kean’s book The Disappearing Spoon and other tales of madness, love and the history of the world from the periodic table of the Elements. Kean does a remarkable job sharing the stories behind the discovery of the elements in an interesting and very readable book, even for those of us non chemistry majors. Gallium has one of the lowest melting points of any of the elements at 84 degrees Fahrenheit and was used as a practical joke by chemists when they molded spoons out of the metal and then watched the spoon disappear as their guests were served hot tea or soup. Today, other applications for gallium include electronic uses as a laser light in CD players, in LEDs and as a semi-conductor in computer chips. This entry was posted in Other Metals, View All Elements and tagged Lona.